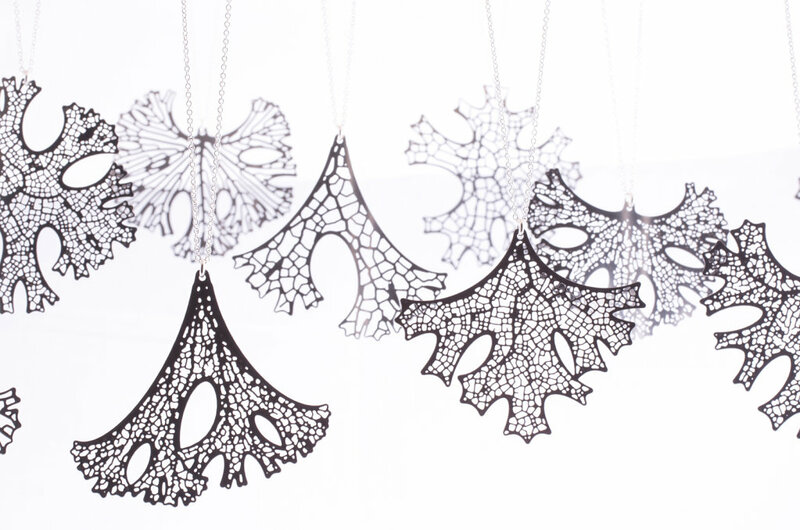 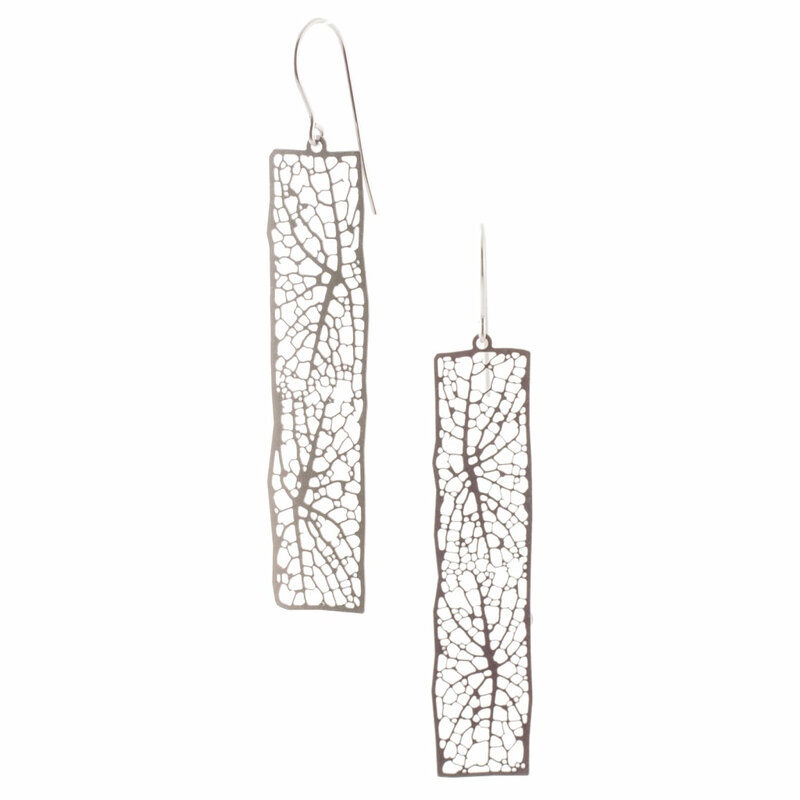 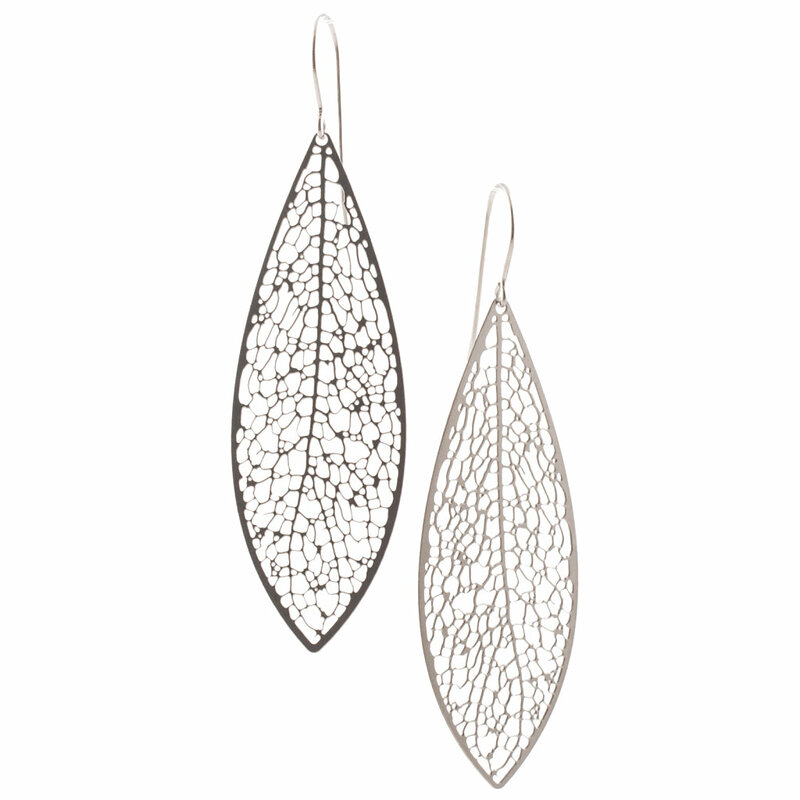 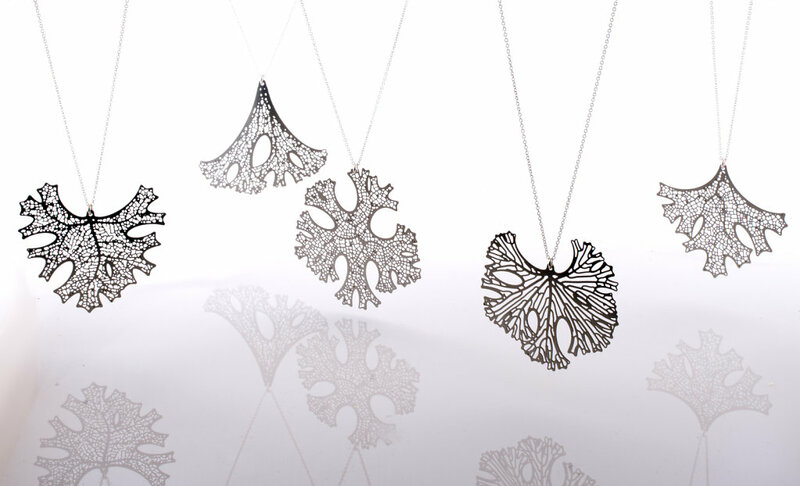 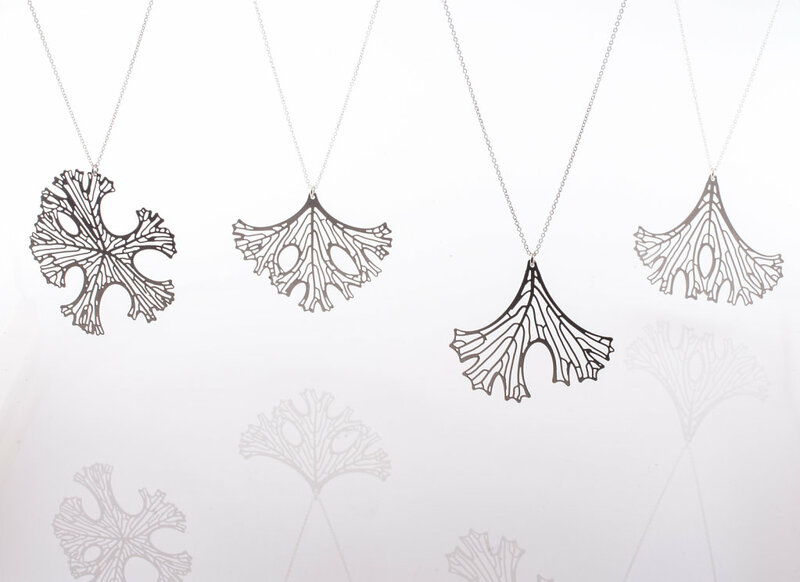 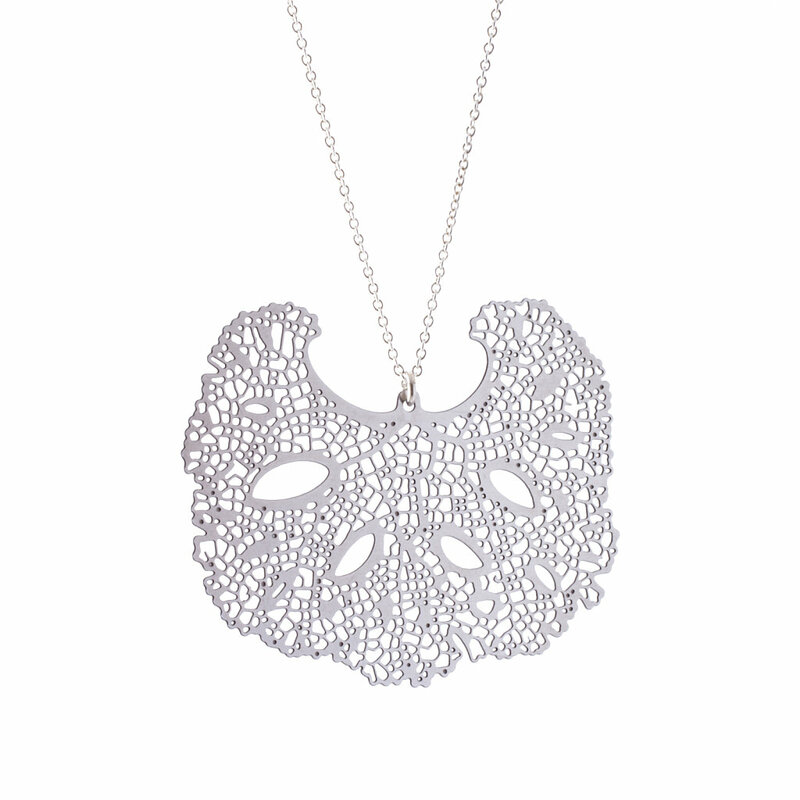 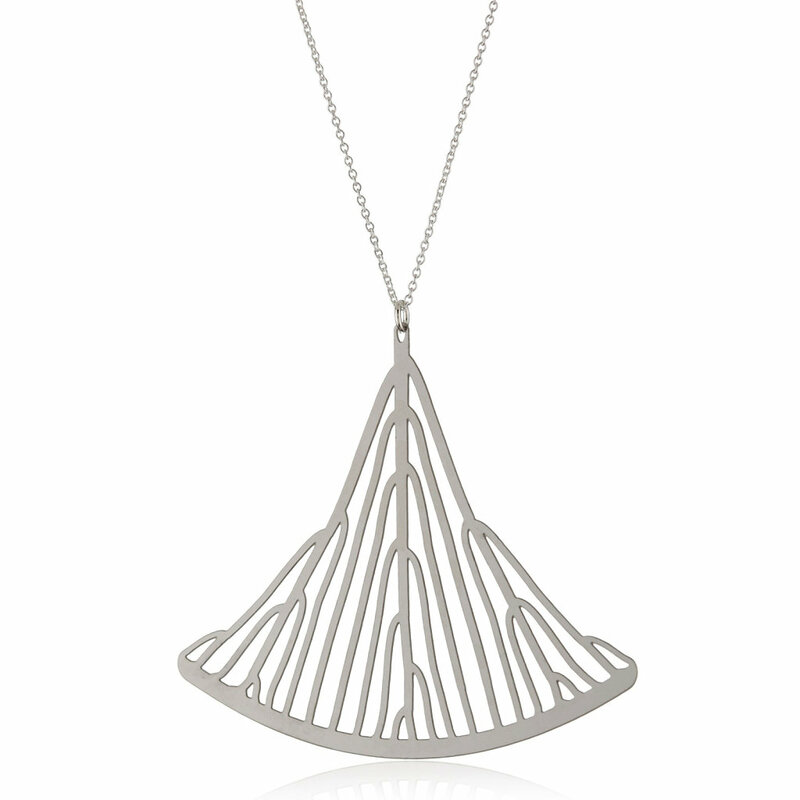 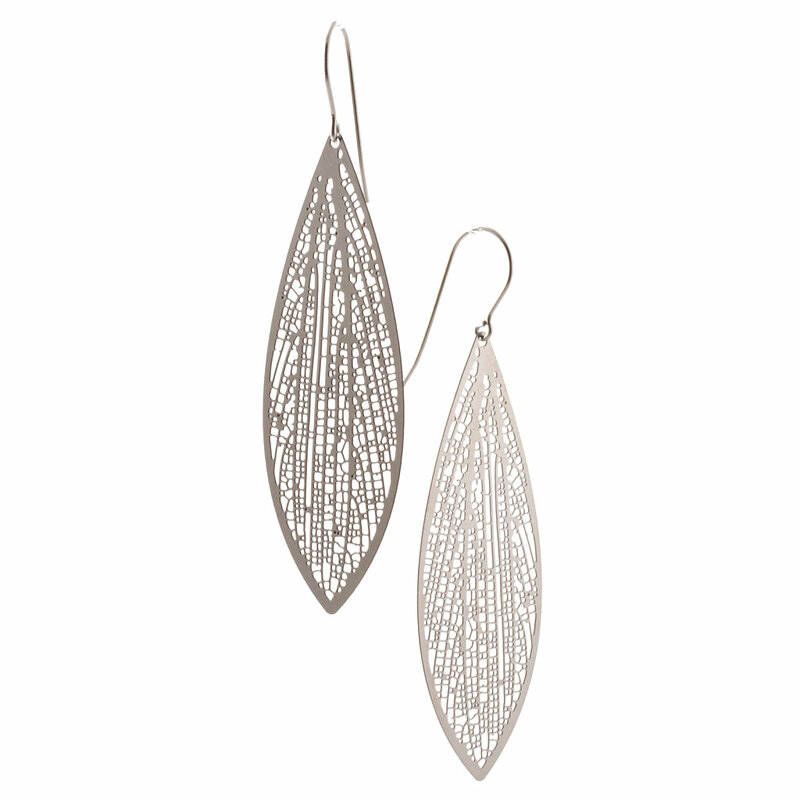 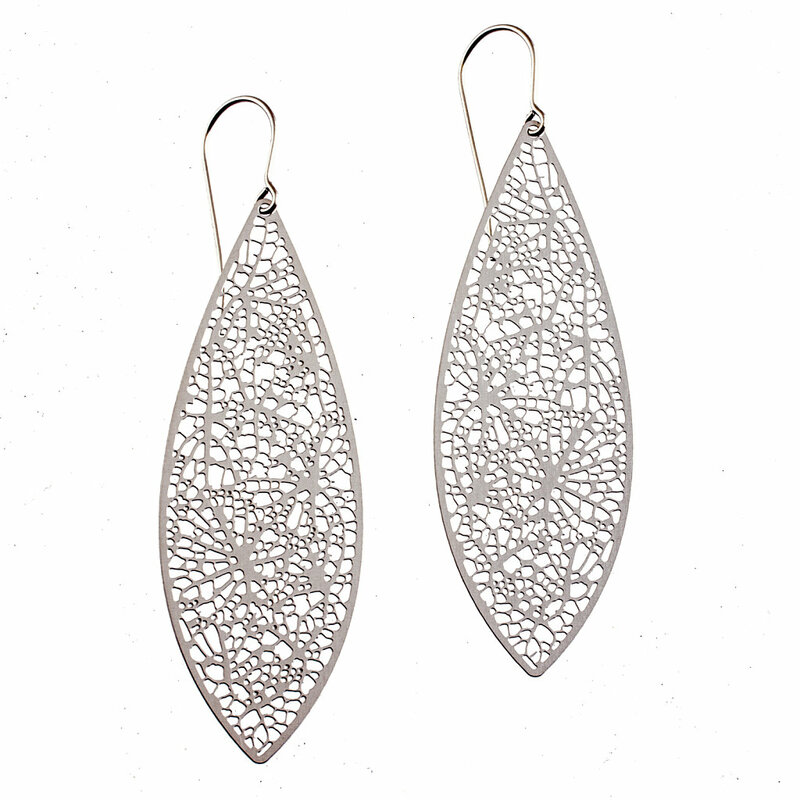 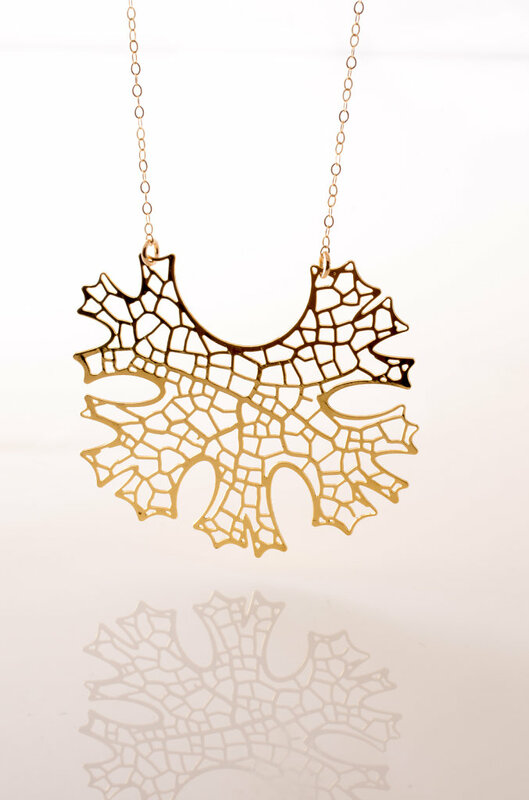 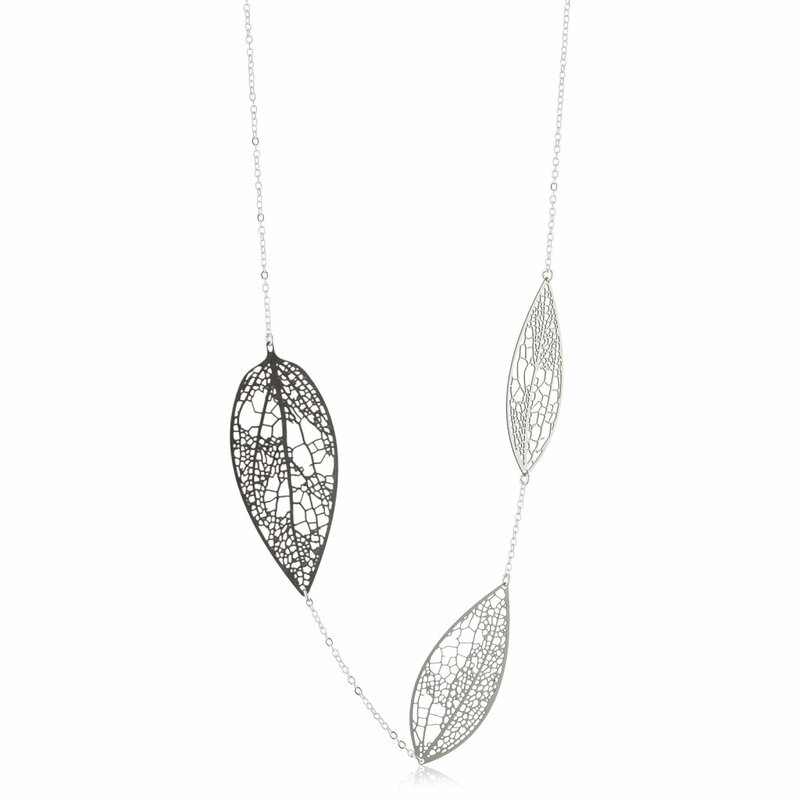 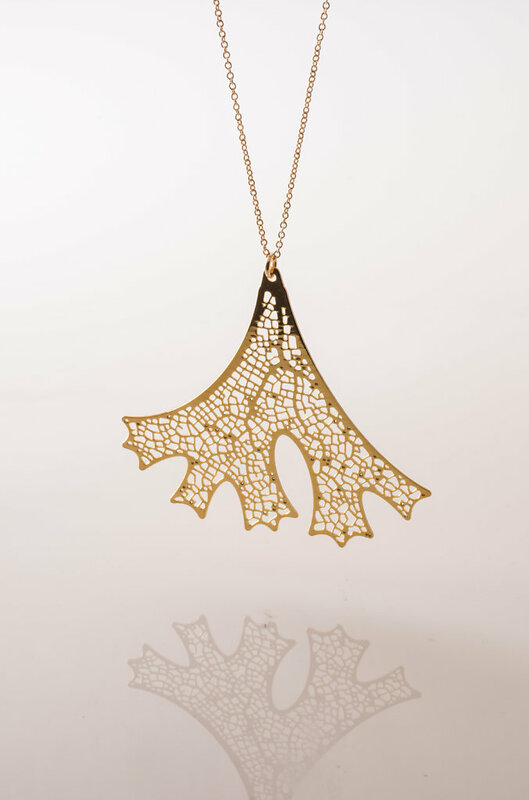 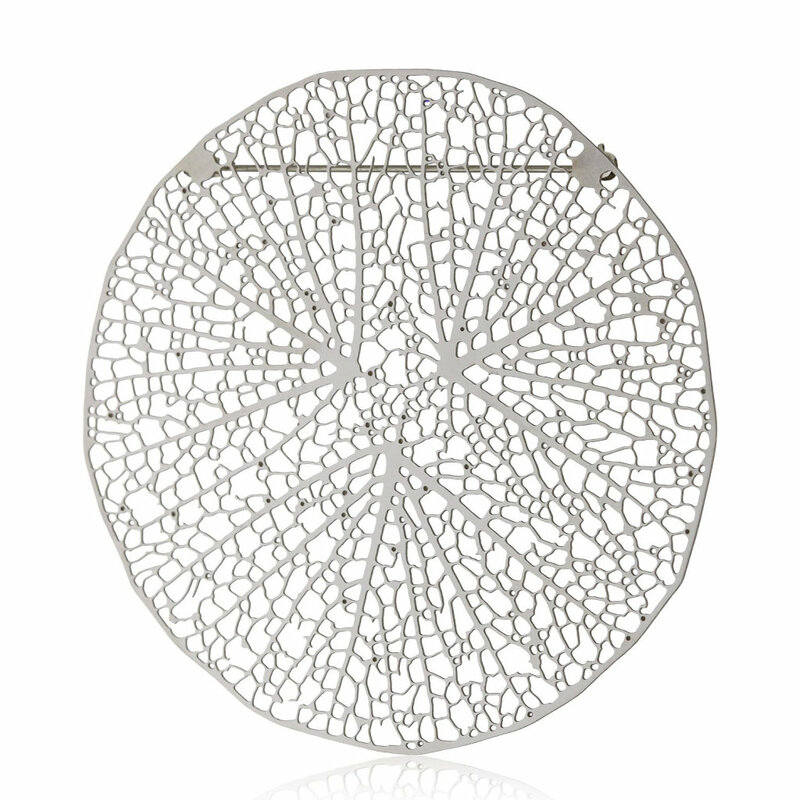 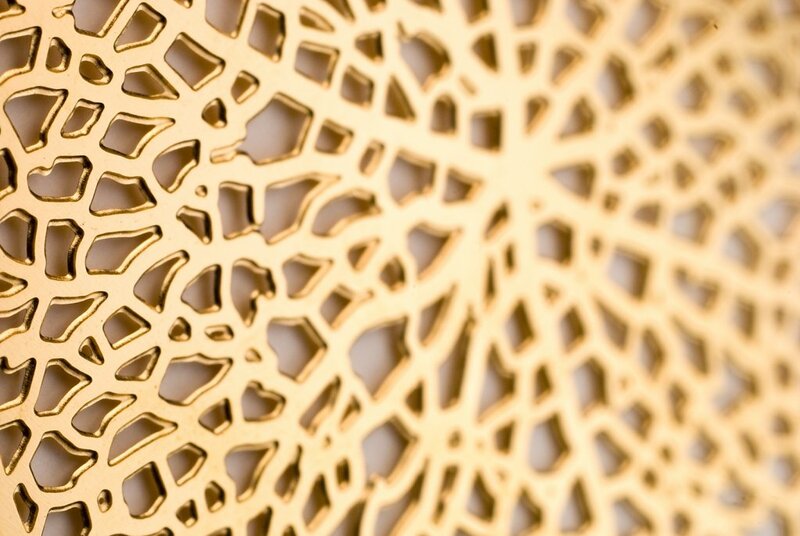 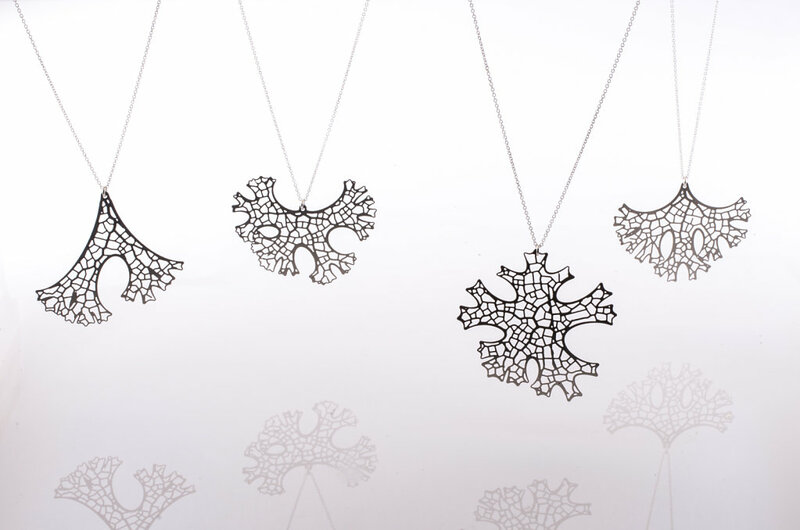 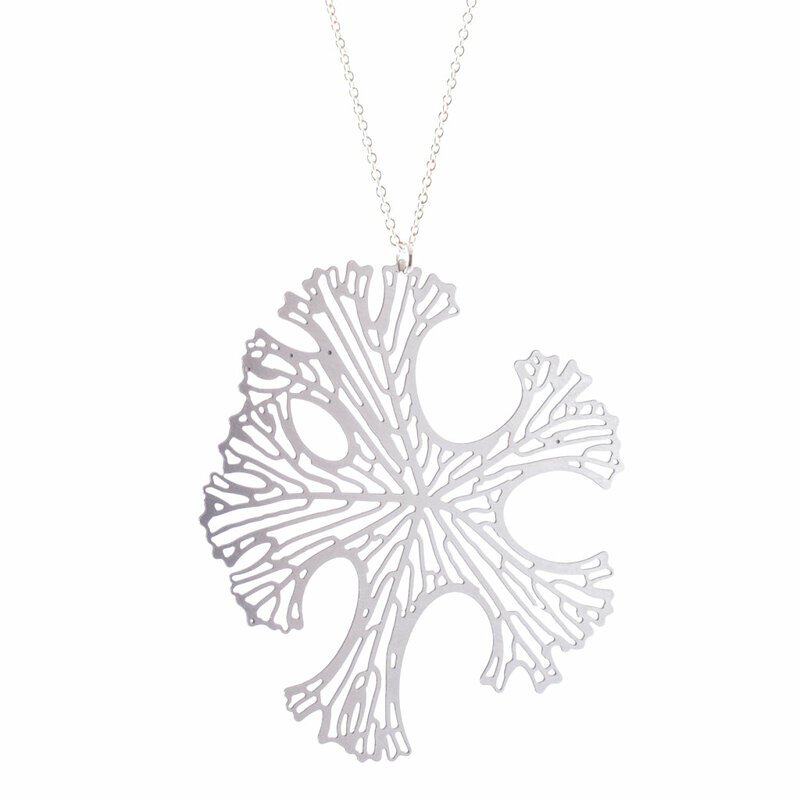 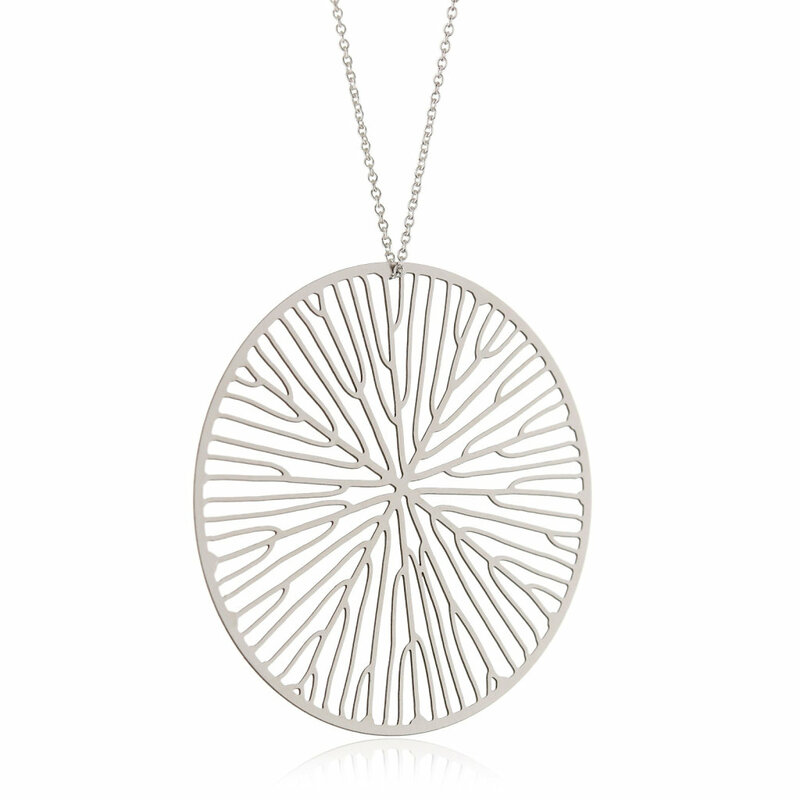 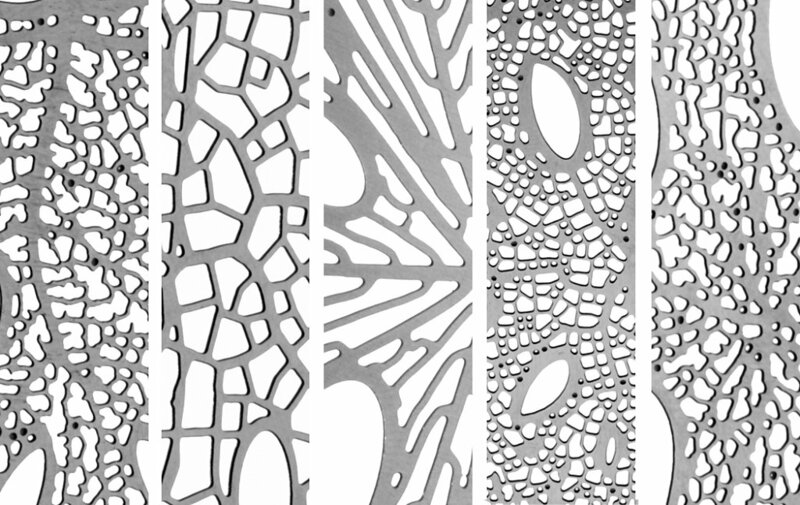 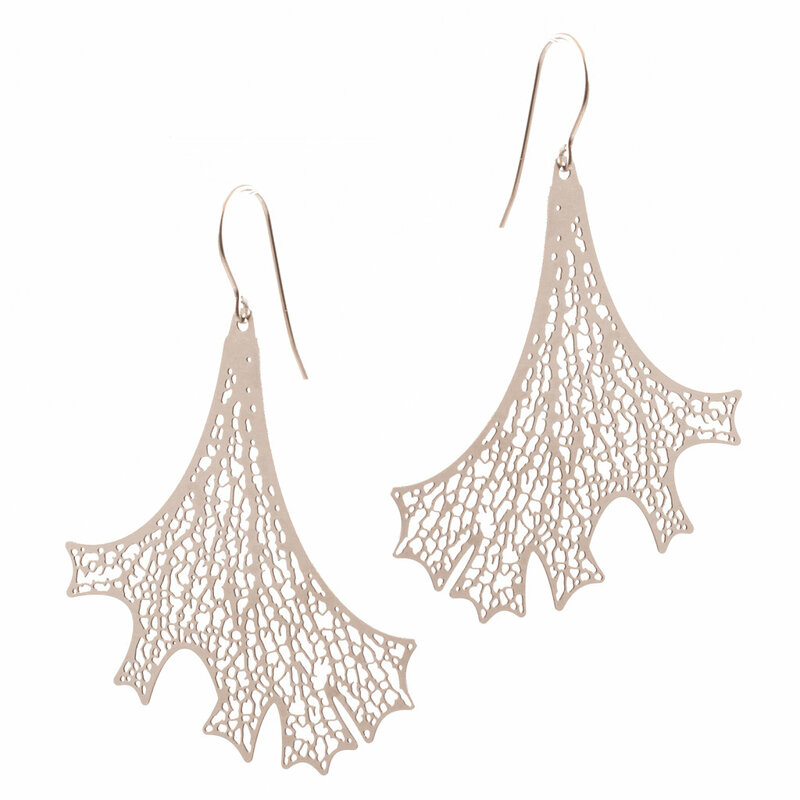 Our Xylem jewelry collection was released in 2010 and is grown our Xylem software which simulates how veins forms in leaves. 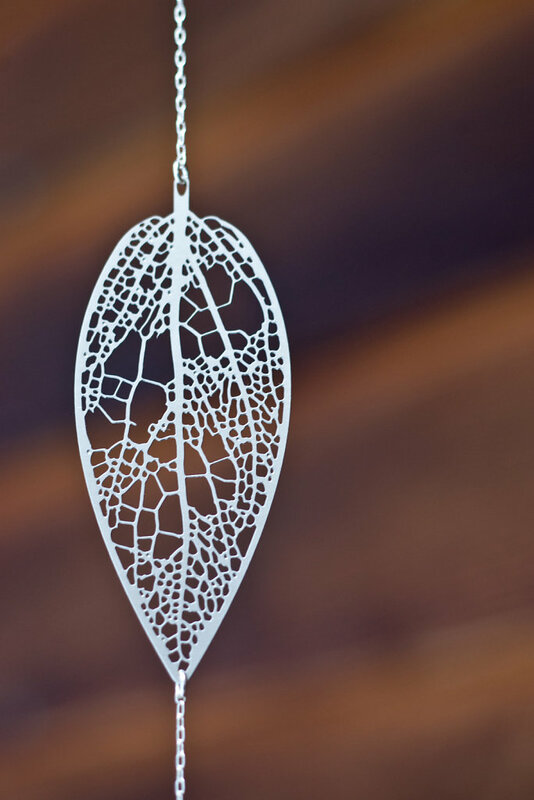 The designs are photo-etched from thin but durable stainless steel. 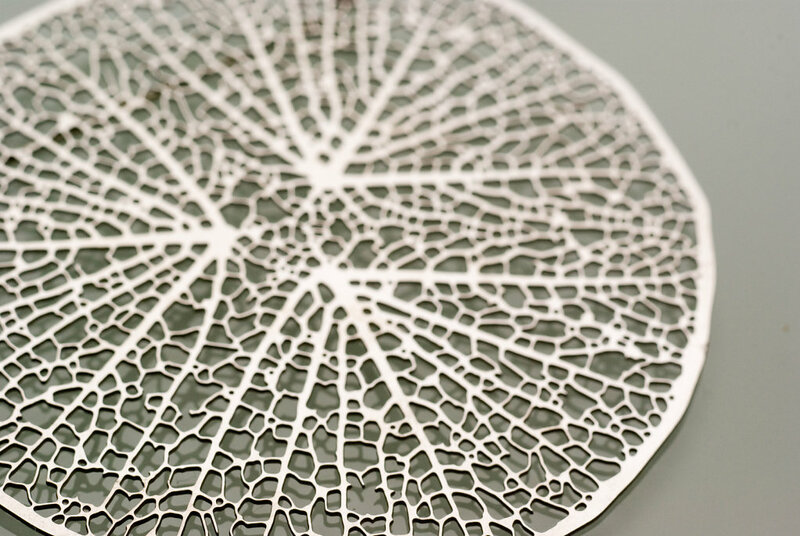 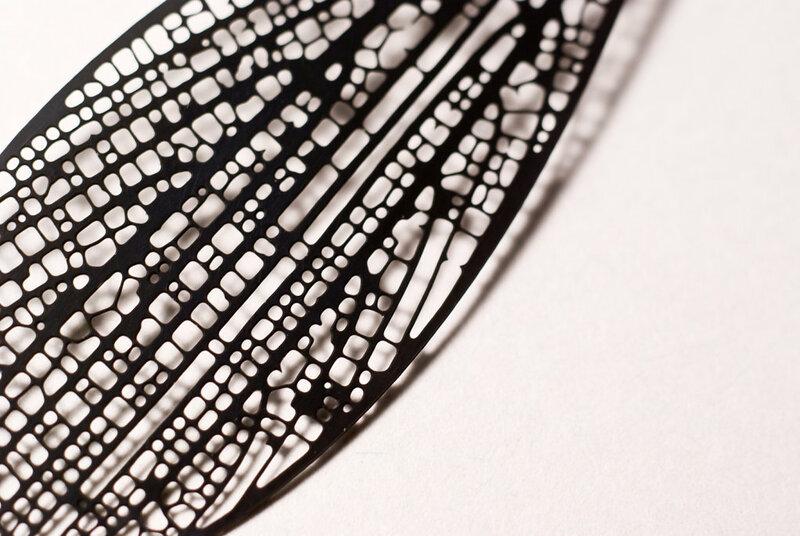 This process, originally developed to meet the exacting specifications of circuit board manufacturing, allows us to create jewelry that is both intricate and incredibly lightweight. 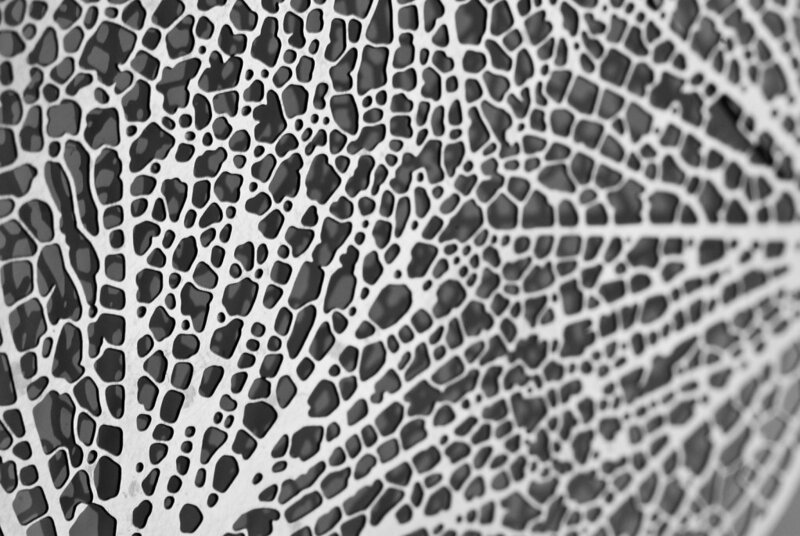 One of our goals with this collection was to explore the parameter space of our algorithm and exhibit the range of patterns that could be generated by the system. 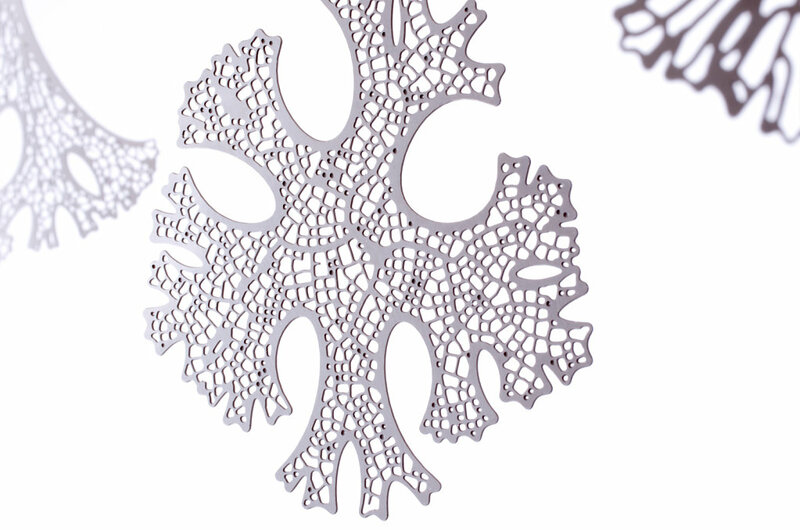 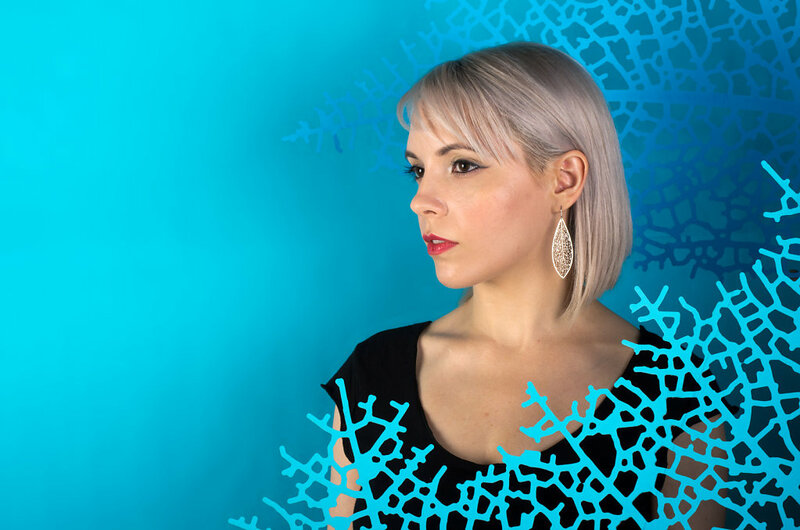 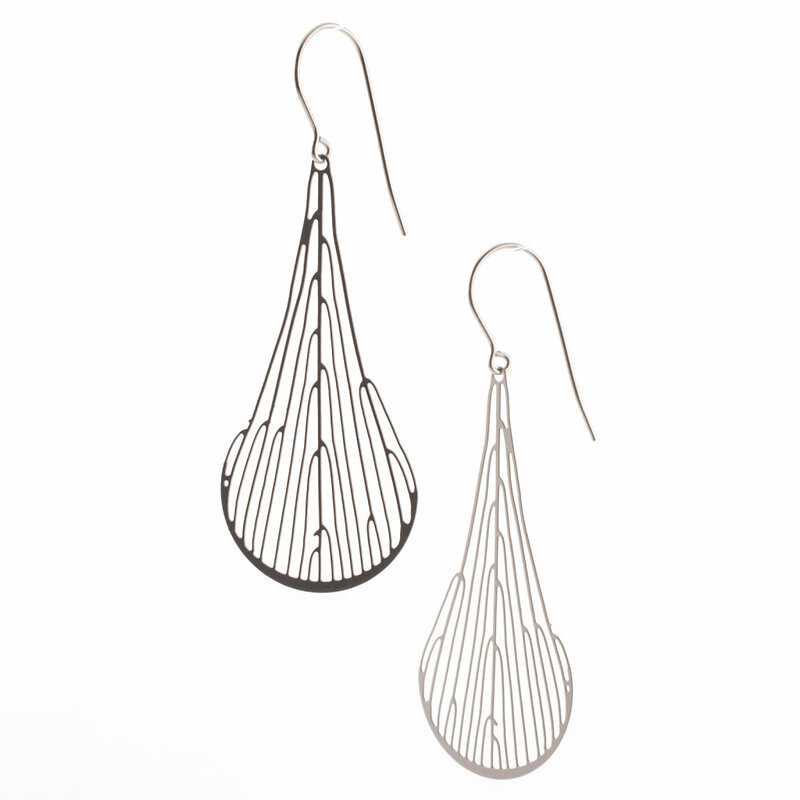 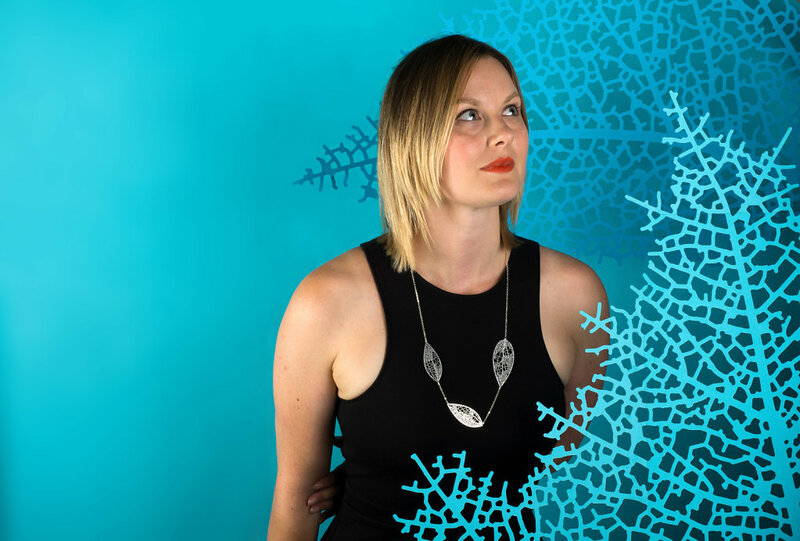 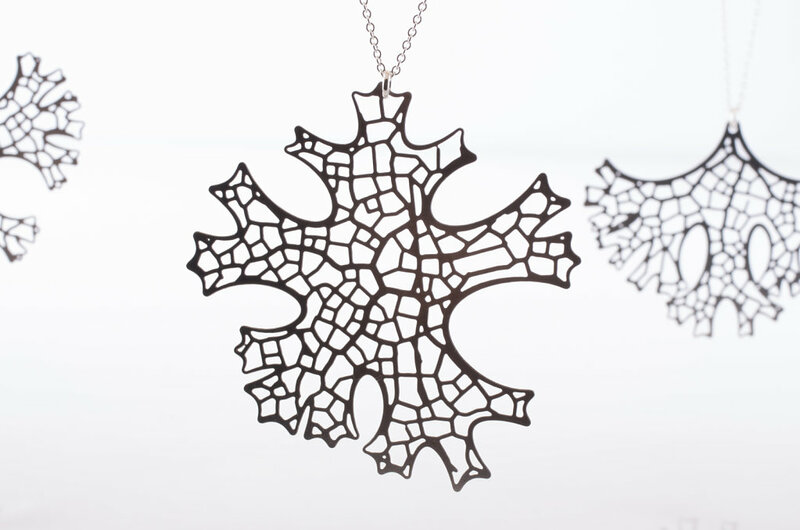 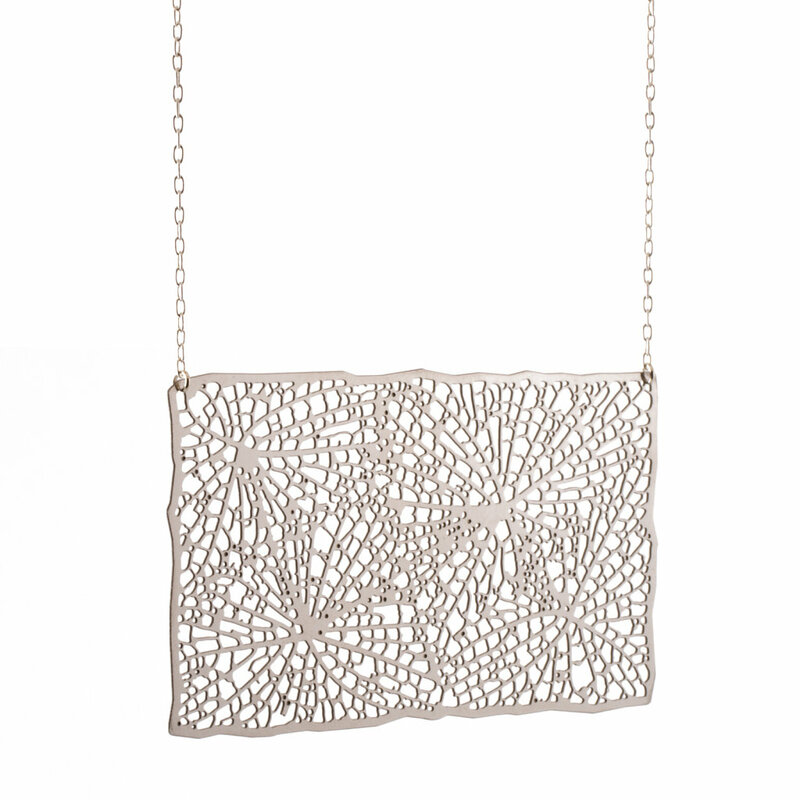 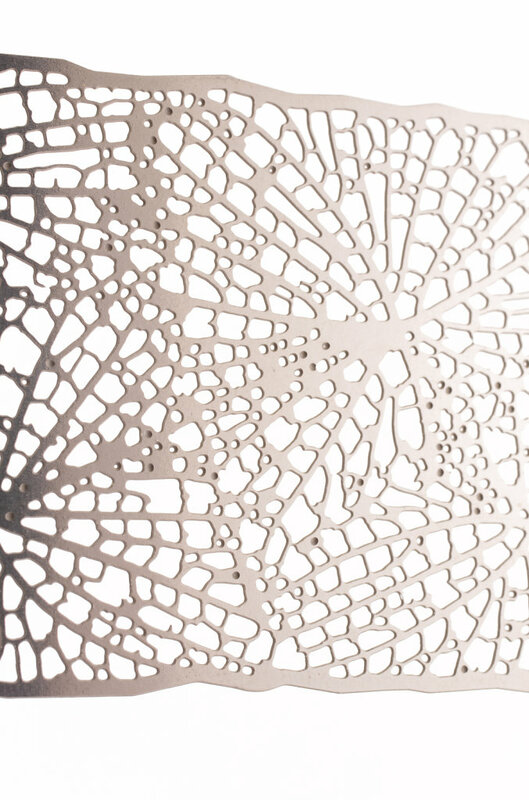 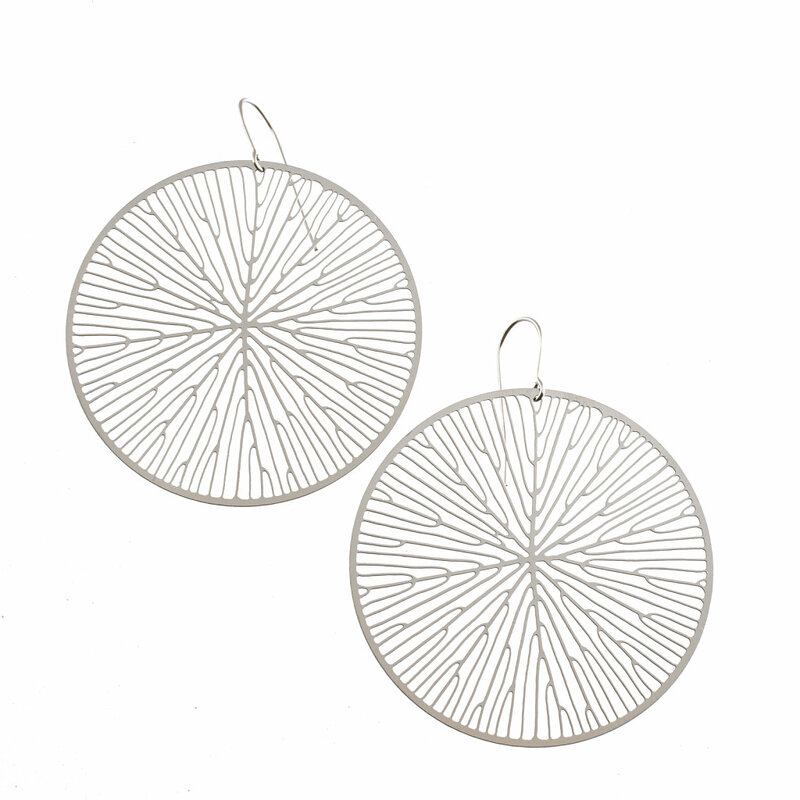 The Folium Necklaces and Earrings were added to the collection in 2013 and are generative series where every piece of jewelry is a one-of-a-kind result of our algorithm.